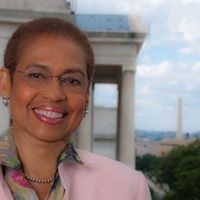 WASHINGTON, D.C. – (RealEstateRama) — Congresswoman Eleanor Holmes Norton (D-DC) today said that the U.S. Marshal for the District of Columbia Superior Court’s updated eviction policies, including not directing landlords to move the property of evicted tenants onto the sidewalk or street, are a promising start, but more may be needed to be done to ensure tenants’ rights are protected. The changes come after Norton requested the Marshal’s office reexamine its eviction policies after an incident in which tax documents were left on a curb in D.C. during the eviction of a local tax company, and after she later requested detailed information on its eviction policies when a D.C. family contacted her about their disturbing experience during an eviction. Norton will host a meeting between the Marshal’s office and D.C. housing advocates to discuss whether only further federal policy changes are needed. The new policies will provide tenants with at least two weeks’ notice of their exact eviction time, rather than simply a notice that they will be evicted at some point within 75 days. The eviction time will also be posted online. In addition, while Marshals conduct a cursory security sweep for dangerous items (and people) in the premises, and will be present for the usual changing of the locks of the property, they will not direct tenants’ personal belongings to be placed on the sidewalk or street. The U.S. Marshal for the Superior Court, who is appointed by the President and confirmed by the Senate, executes the Superior Court’s eviction orders. The Superior Court, whose judges are appointed by the President and confirmed by the Senate, issues eviction orders under the landlord-tenant laws passed by the D.C. Council.